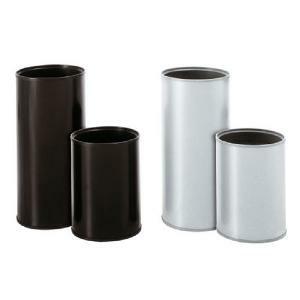 Tall waste bin available in a choice of colours to suit any office interior. 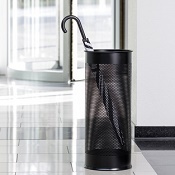 Can easily be used as an umbrella stand. 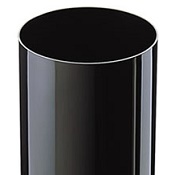 This model has a metal body and plastic base. 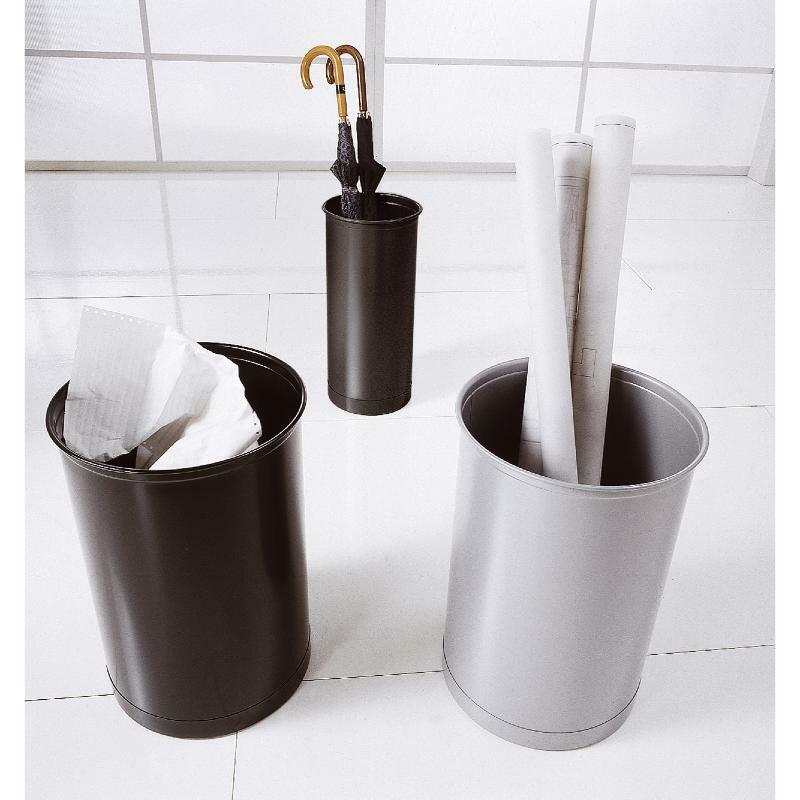 Other options include a waste bin and with a perforated design. - Base with integrated drip tray, made from black shockproof high tech polymer with a ribbed bottom to make it even more sturdy. - Available in black, white, silver. 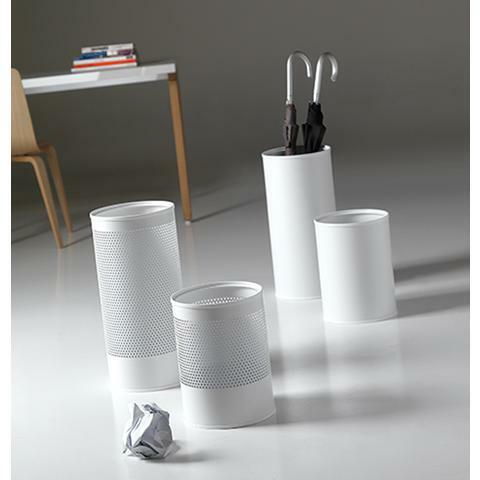 - Also available in perforated version. Handy bag ring available either 18 or 19 Ask us for more information. 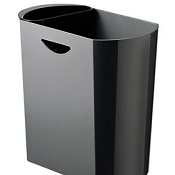 Contact us if you need any further information on office bins and our team will be pleased to help.